I love Moira Rogers’ books written under Kit Rocha, so I’m looking forward to reading this series. Keith Winston is a soldier who’s tired of fighting. His pack needs him, so he’s come home to Red Rock, Montana in hopes of finding a bit of peace. Instead, he’s sent on a rescue mission, where he finds one delicious complication—Abigail Adler, a new wolf on the run from a corrupt alpha. Abby feels an instant, primal connection to Keith, one that could become very real—and literal—when he offers to bond with her. 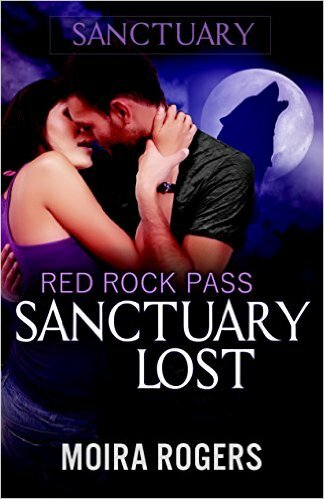 Though she’s grateful for the sanctuary she’s found in Red Rock, she can barely wrap her head around what it means to be a werewolf. She’s in no position to take a mate—but the dangerous passion Keith stirs in her won’t be denied. Then her tormentor kidnaps her sister in an attempt to lure her out of hiding. To save her, Abby and Keith must be willing to do the very thing that could tear them apart forever—break all of the rules. If there’s one thing that Brynn Adler hates, it’s feeling helpless and vulnerable in unfamiliar territory. Three weeks ago, life tossed her into just such a world. A world of werewolves she never knew existed–until she found out her sister was one of them. The pack seems determined to hurry her back to the normal world of humans. But after everything she’s witnessed, she’s not sure she wants to go–especially if it means leaving not only her sister behind, but the one man who makes her forget her life is falling apart. Now all she has to do is convince him to agree to a plan to force the pack to let her stay. Joe Mitchell has been battling his protective instincts since he rescued Brynn from her kidnapper. Getting involved with her is a bad idea for a lot of reasons. She’s on shaky emotional ground, and a supernatural war is no place for a human woman. He’s not about to let her make a hasty decision, one that will only bring her pain and regret. Now all he has to do is let her go. After a decade under a corrupt alpha’s thumb, Dylan Gennaro is still reeling from the changes in his life: a new home, a new alpha, a pack at war. Even normal things like an ending relationship. Still, when he’s asked to work with an outcast witch, he agrees without hesitation. Maybe by protecting her, he’ll rediscover his own inner strength. If, indeed, it exists. Sasha Wallace lost her mentor in a vicious attack that left her scarred in spirit as well as body. 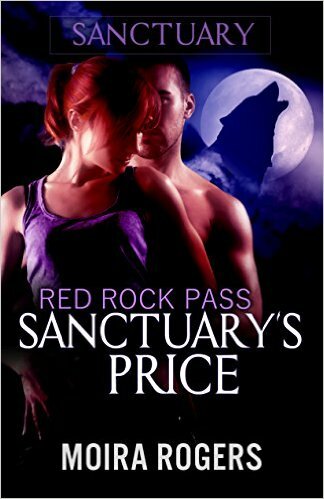 While she’s grateful for the refuge offered by the Red Rock alpha, it’s tough living with the pack’s suspicion. Even though—or maybe because—she’s willing to use her powers to help them fight their war. Except for Dylan. When she’s finally free to find a new home, he’ll be the only one she regrets leaving behind. Their attraction is a balm to their wounded hearts, until their journey for knowledge brings them face to face with a terrifying vampire. Neither has the strength for this fight—but if they can let go of their pasts and trust each other, they might just be able to do it. Together.